This and the three following books are the famouse Funcken books. Liliane and Fred Funcken were a Belgian couple which created these wondeful books. 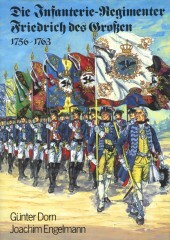 This volume has 156 pages with about 1800 uniforms and flags of the time of Fredrick the Great. 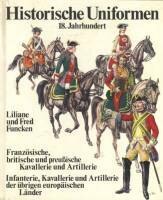 It covers French guard and line, British and Prussian infantry. 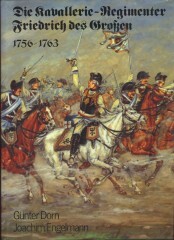 This is the second volume about the 18th century. 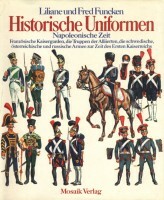 It covers uniforms from the French, British and Prussian cavalry as well as the uniforms from the minor german states, Austria, Belgium, Italy, Spain, Russia and Sweden. This is the first of two volumes which are the german edition of the famouse book from the Belgians Liliane and Fred Funcken. 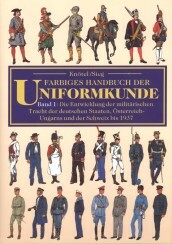 This book has about 150 pages and depicts about 1700 uniforms (every second page is a colour table). 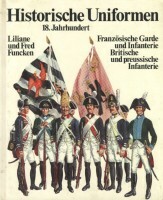 The first volume covers the French line regiments, British, Prussian and Spanish troops. 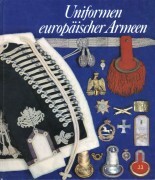 It has very limited text but often also tells something about the differences between the regiments. This A4 book (and his brother about cavalry) is from Guenter Dorn (pics) and Joachim Engelmann (Text). 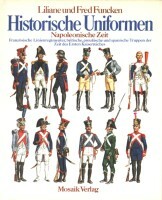 Each of the regiments has two pages: one for its history (commanders, battles, events, ...). 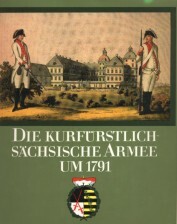 The time frame of the histories is from about 1740 to 1806/1815 as most of the regiments capitulated after Jena/Auerstatt (1806). The pictures show normally two soldiers and the color (regimental standard) of the regiment and an additional detail (caps, flint locks, ...). It is from the same author/painter as the first volume and done in the same style with the exception that each regiment gets two pages for the history and two pages of color plates. This 240 page volume is a collection of over 200 hand-coloured copperprints from F. J. C. Reinhold (1742-1809). On each page is one of his pictures and some text which gives additional comments to the scene (uniforms, locations, ...). I would wish I would have a book like this for each of my armies. I have never seen such a complete collection of pictures from that time focused on a single army. I think ever one knows the osprey books so I can scip any comments on it: 40 pages / 8 color plates. 48 pages / 8 color plates. 40 pages / 8 color plates. The fact that it has been tried to cover all european countries and that from 1650 to Worls War I on 300 pages tells everything! It only picks some uniforms from each state and time and is nether complete or accurate. But sometimes you get a lucky hit and at one time it was the only book which depicted a uniform a friend of mine looked for! This two volume work from Knötel/Sieg also covers a wide time range (17th century to 1937) and nations. This first volume covers the German states, Austria/Hungary and Swiss. The pictures are quite small, lack details and are not very true to color. But the main advantage is the text (which takes up the majority of the 158 pages). It describes quite good the development of the uniforms and their main parts. Especially usefull is, that for each state also the generals and their uniforms are described. If you have the miniature figure in front of you and you read the corresponding text you are able to paint it quite accuratly. It is most useful to check other sources or to give additional input. Like the first volume. This one covers all other nations not described in the first volume. It has 210 pages with color plates on each. 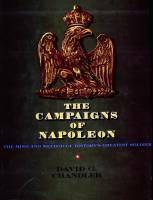 This book from David Chandler is the must have for every one who wants to have a (deep) overview over the military career of Napoleon. On mor than 1100 pages he describes not only the flow of history but gives also a look at the way battles were fought. 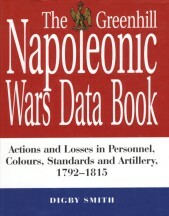 He covers all important battles of Napoleon in detail and also the time between the various campaigns is not forgotten. I have only two criticisms: The battles in the second half of the book are not as good described as the ones at the beginning (yes I know they got a little bit bigger later on, but I'm still missing something). The second point is that it covers only battles where Napoleon was present (That's OK because of the books title) but sometimes a little more about the other events would help the to understanding Napoleons actions. On over 500 pages Brent Nosworthy explains how battles were fought in the Napoleonic era. He does that very well for each of the three weapon types (Infantry, Artillery and Cavalry). He is very neutral (not the typical "British are the best") and very scientific. Because he not only looks at the formal instructions of the different nations but also takes their behavior on the battlefield and the historical development of the various tactics into account, his description seems very profound and reasonable. 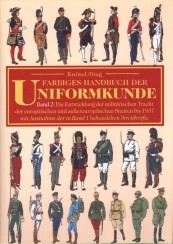 Like the man-in-arms series book in the uniforms section it is of good quality. The progress of the battle, the why and where is explained and a lot of color plates of scenes and battle scemes. But I think most wargamers know what they can expect from an osprey book. OK, so the book is great for the purpose to find a battle in the right size (numer of troops) and with the right participants for your next gaming session. But you cann't create a tabletop scenarion alone from this book. No maps, no initial settup. But it is a good starting point for further investigation. It is also very interesting to track a campaign with also its smaller engagements listed. A 300 page story with two maps describing the battle of Aspern-Esslingen. No comments because I haven't read it yet (but I'm anxious to).